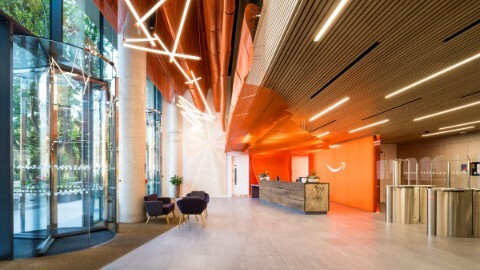 Vertium is a statement office development that dedicates over 15,991 square metres to creating a bright, inviting workspace with LEED Gold standard energy efficiency across six expansive floors. 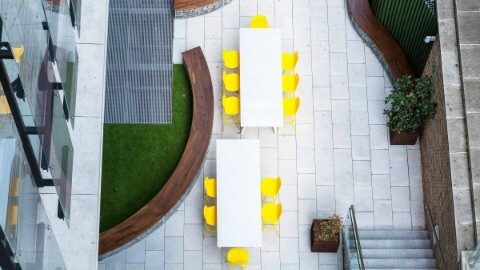 With its intelligent design and prime location in Dublin’s central business district between St. Stephen’s Green and Grand Canal Dock, Vertium embodies versatility on a grand scale offering floorplates that are amongst the largest and most efficient in Ireland. Vertium creates a striking impression. Framed with a soaring aluminium fin, its panoramic form spans almost 100m of Burlington Road to emanate presence and authority in a central business heartland. 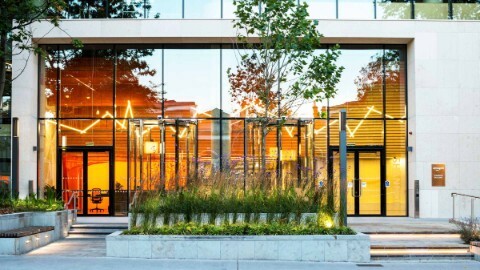 1,800 sq m of creative landscaping fronts the building, creating a superb natural amenity and breakout space. 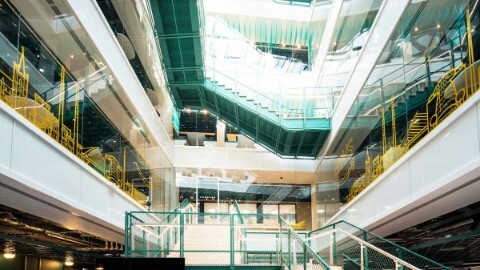 Openness is a Vertium trait, terraces on four floors providing a total of 727 sq m of outdoor collaborative space. 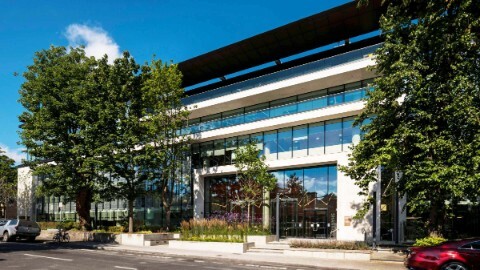 Situated on the Grand Canal/CBD axis between St. Stephen’s Green and Dublin Docklands, Burlington Road is a prime location in one of the city’s most vibrant business and social hubs. Fringed by a grove of mature trees, Vertium offers privacy and prominence in equal measure. 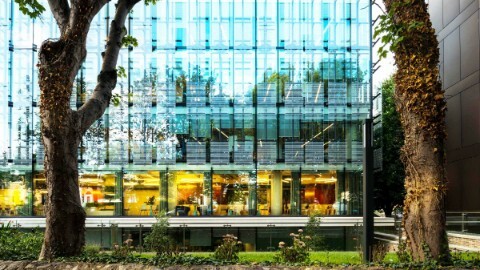 This is a truly green building, a natural work environment at the heart of one of Europe’s most enterprising capital cities. 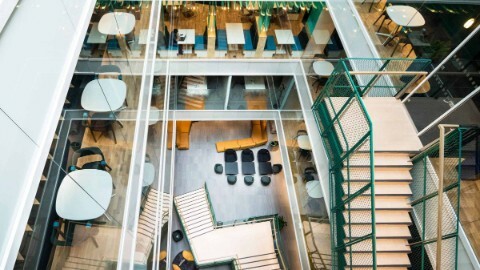 A structural grid spanning 11.5m and generous 2.8m floor-to-ceiling heights (3.1m at Lower Ground Floor) result in a welcoming place of work that inspires wellbeing and collaboration. As responsible real estate managers, the focus of the owner is on the needs of the tenants, the quality of the properties, the environment, and last but not least on commercial success. Accordingly, Union Investment has always regarded proactive tenant support and property management as key. Union Investment, the owner of Vertium, is a leading European investment manager specialising in open-ended real estate funds for private and institutional investors, currently with assets under management of around 35.3 billion euro. 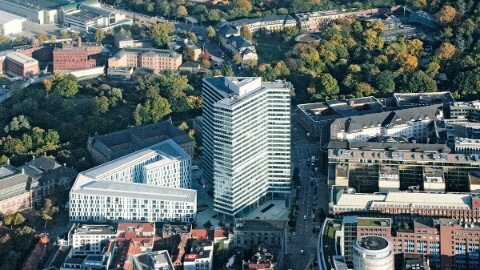 The portfolio of Union Investment´s real estate funds comprises approximately 375 properties and projects in Germany and other European countries, the Americas and Asia-Pacific. The company operates today in 22 countries around the world. 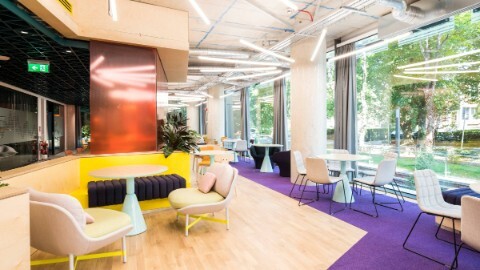 The 4–5 Grand Canal Square office ensemble consists of two buildings that can be used independently right in the heart of Dublin’s South Docklands, the premier address in the Irish office market. The important transport hubs of Grand Canal Dock and Pearse are just a few minutes from the ensemble. 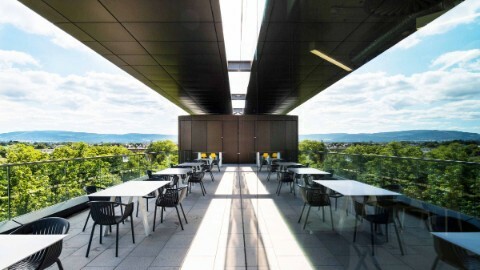 Hotels, restaurants and cultural venues combine to make this a vibrant district. 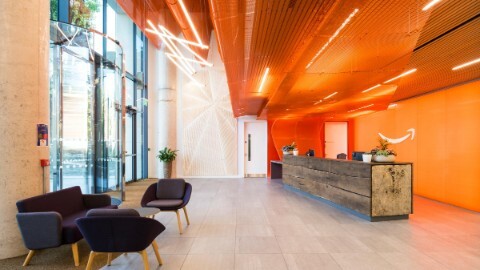 The ‘XYZ Building’ is a new office building located in the heart of the city centre, situated in Spinningfiels, the modern CBD of Manchester and one of UK’s largest and most successful mixed-use urbane regeneration schemes. 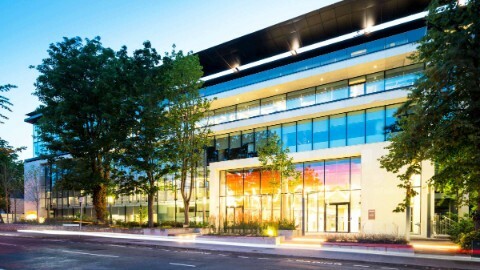 The property provides some 14,583 sqm of high quality Grade A office accommodation. 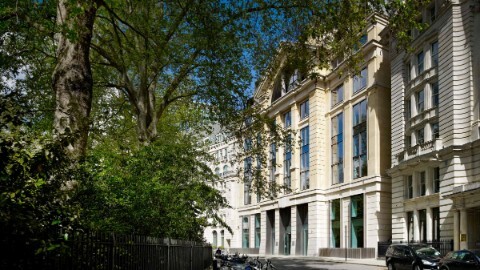 Finsbury Circus House 10 South Place is a twin aspect corporate headquarters with high profile access from two major City addresses – Finsbury Circus and South Place. 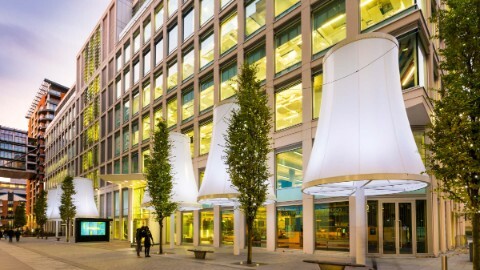 This istinctive building provides 145,000 sq ft of new, light filled Grade A office space in a prime City location, close to Broadgate, Liverpool Street and Moorgate stations. 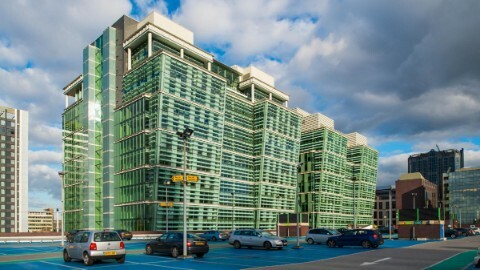 One Snowhill in Birmigham is located right at the heart of the Colmore business district and is one of Birmigham's most spectacular buildings. 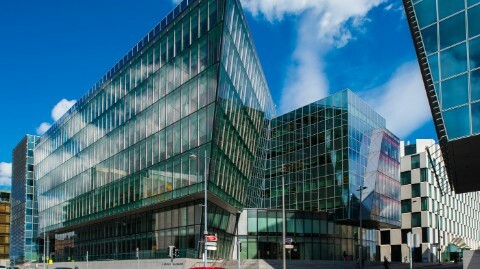 Totalling over 263,000 sq ft, One Snowhill is arranged over basement, ground and 11 upper floors. Would you like to receive more information? Please contact us.